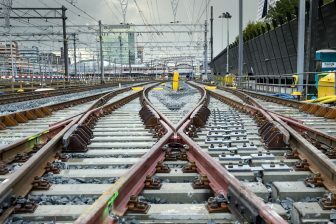 Innovations from five different countries underscore the international character of the RailTech Innovation Awards 2019. These were presented on Tuesday evening in the Nicolaïkerk in Utrecht. Jury chairman Rolf Dollevoet presented the seven prizes after the first day of RailTech Europe 2019. In the Infrastructure category, the prize went to the Ruconbar noise-rolling system of the University of Zagreb. Ruconbar stands for “RUbberized COncrete Noise BARriers”. An environmentally friendly noise barrier made from a mixture of concrete and ground car tires. 7,800 recycled car tires are processed in one kilometre of Ruconbar. Dollevoet: “It is incredibly nice that you can solve this problem by gluing rubber granulate together.” The other nominees in this category were the Tiris data platform from Thales and Infrabel. Nijhuis Engineering Dronten won in the rolling stock category with their BEAR rail system, a new machine for constructing rail. “When it comes to rolling stock, it is important that we do not just think about trains, but also about construction and maintenance equipment. 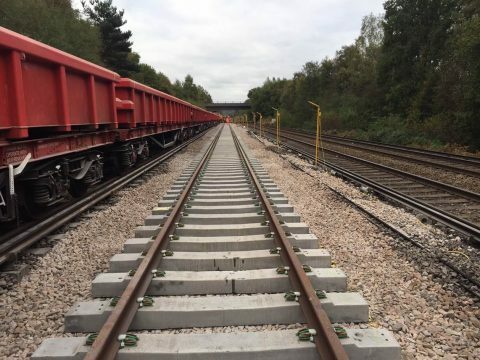 The BEAR rail system is a good example of innovation in this area.” Nijhuis beat Rail Service Net with its mobile sand dispenser and the Scheffel self-steering of Global Railway Engineering. In the IT Innovation category, the Italian ESIM won with its unmanned diagnostics system for the geometry of the track. This system performs the same periodic checks on the track from normal passenger or freight trains as a measurement train. From the train, the geometry of the track is assessed on various parameters by sensors. “We use this system at our university, I think that is enough,” says Dollevoet. ESIM was also named the winner of the public award by the industry itself. The RailApp transaction and communication platform won the award in the Rail Freight Transport category. With RailApp, cooperating rail companies that exchange capacity can communicate with each other and handle invoicing. The safety protocols of the individual companies are also included. The Digital Freight Train from Traxens and the 5L Next freight wagon from SBB Cargo were nominated, but received no prizes. “A nice variation of fancy solutions in this category. The discussion in the jury was less intense in this category. We agreed quickly.” The prize went to the EPFL Ecole Polytechnique Fédérale de Lausanne. The researchers from this Swiss university developed energy-efficient glass that transmits mobile telephone signals. Carrier BLS will use the glass in its trains. The other two nominees were: Qlayers Sharkskin and London North Eastern Railway with their system for linking sensors to the reservation system. Castlab from Melis Foundries Tilburg wins this category. The company can produce metal prototypes, discontinued parts and small series within ten working days. 3D printers are used for this, among other things. 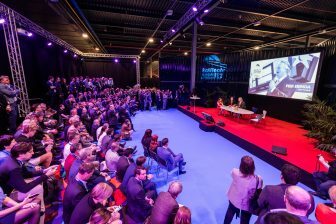 Castlab impressed the jury more than DB Coating with its Permanent Protection and Konux’s predictive maintenance system. 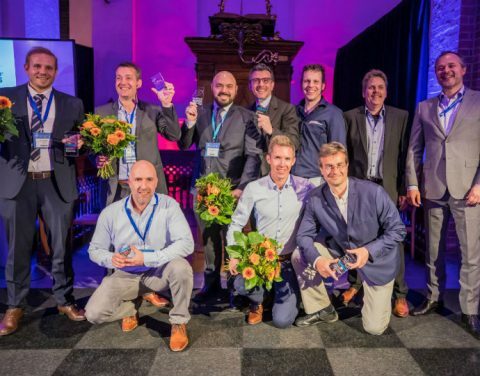 This year’s professional jury consisted of Erwin Abbink, managing consultant innovation at NS, professor Rolf Dollevoet of TU Delft, Carel Robbeson, board member Railforum, Karel van Gils, Innovation manager at ProRail, Dr. ir. Matthias Landgraf TU Graz, Hans Willem Vroon, Director RailGood, Assistant Professor Niels van Oort Public Transport at TU Delft, Cor Hoenders, Director Rail Cargo Information Netherlands.